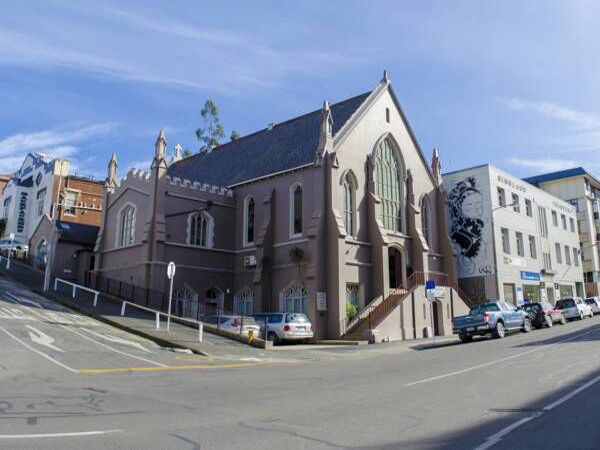 Chapel Apartments are housed in Dunedin's oldest church, built in 1863. 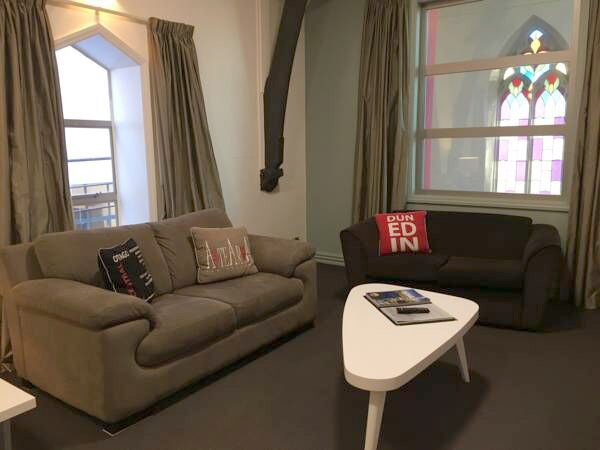 Our seven self-contained, modern apartments are located one block from the heart of Dunedin – the Octagon. 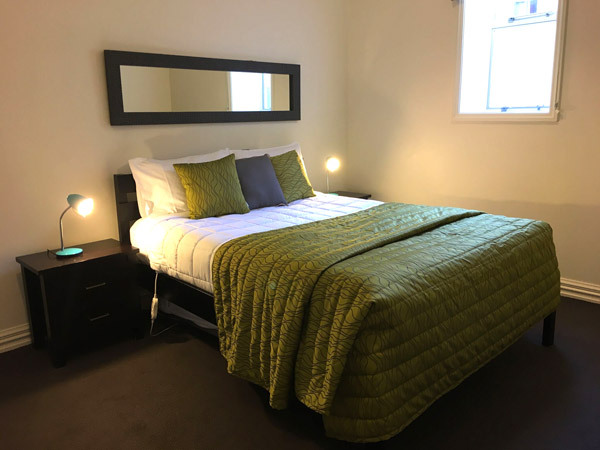 All apartments feature full kitchen and laundry facilities, and TV. 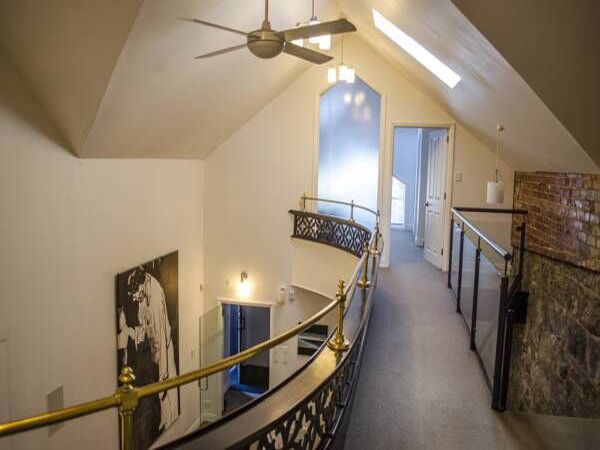 Each apartment makes use of the historic church building in a unique way, whether it's stained-glass windows, architectural features, or skylights that allow you to view the beautiful vaulted ceiling. 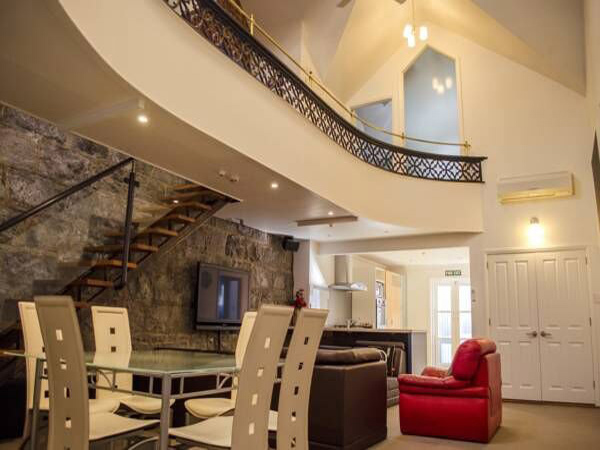 Two apartments have all facilities on one level. Four apartments come with onsite parking. We reimburse parking for those apartments without a car park. Guests enjoy free WiFi and housekeeping service.